PES Become A Legend (BAL) is an awesome way to experience the playing career of a soccer player. This tutorial will detail the basics of the BAL game mode. 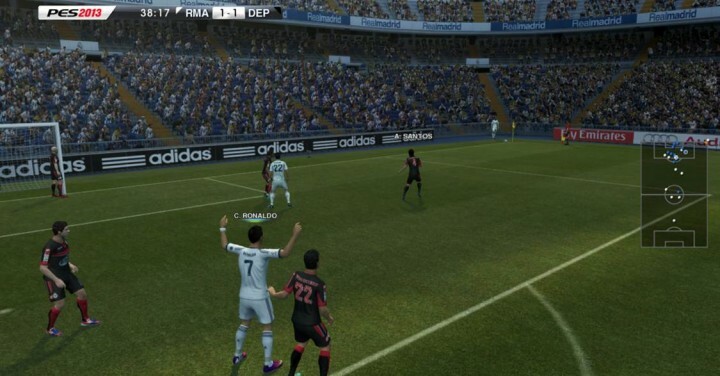 Screenshots in this tutorial are obtained from PES 2013. You can start off as a new player, or a real player. It is tedious, yet rewarding, to start off as a new player and gradually build up new career. Players looking for a quick entry into first team matches and international matches should start with a real player. Once in the game, you can change squad number, check out your stats, adjust training schedule, search for new clubs etc. Regardless of your position, if you enjoy running all over the pitch to get involved in the action, building up your stamina will be a good investment. Once your stamina falls into red, you will be substituted out. A high level of stamina will allow you to play a whole game. If you are starting the BAL mode as a real player, choosing a player with high stamina will be recommended. 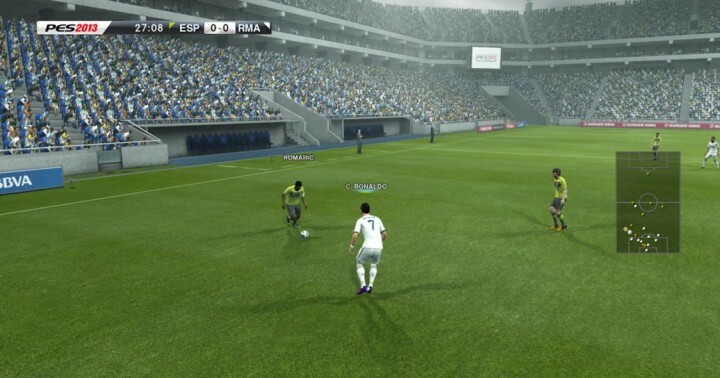 PES 2013 BAL has the same boots boosting mode in Master League. 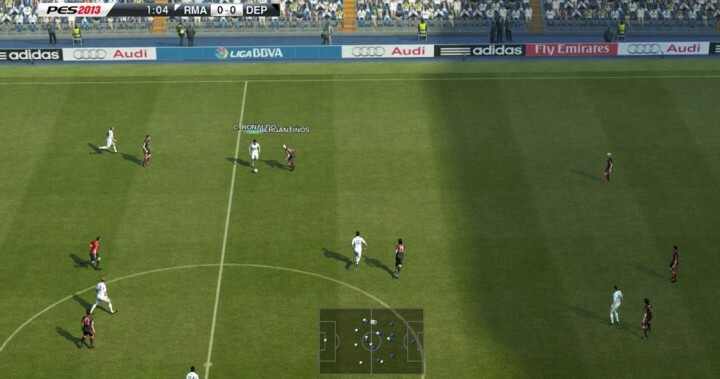 Your PES Patch may be able to disable the function. In any case, you will unlock a new pair of boots for your player each time you receive the Man of the Match award. In boots boosting is enabled, your stats will improve with certain boots. If not, these will just be for aesthetic purpose. Your salary is used to pay for the agent fees. You can switch to a better agent once you have more money. You can choose any of the camera from exhibition mode where you control the entire team, or you can use the Player camera, where you view the game from the player’s point of view. 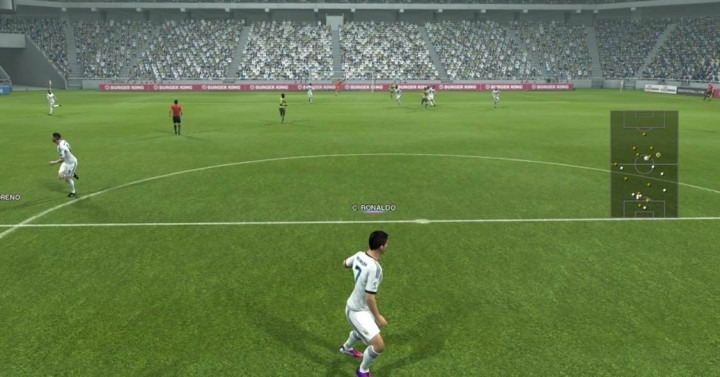 Normal camera mode makes it much easier to play, as it is more familiar to most players, we get to see the entire pitch, know where our players are, know where our opponents are, and these help us to make decisions easier. Player camera needs some getting used to. The camera is constantly spinning as the ball changes position, which may give you a headache. Once you have the ball, you can’t really see where most of your teammates are, or where the opponents are. You can only see things ahead of you. You have no idea if there are anybody beside you. If you received the ball with your back on goal, it is very hard to decide on what to do, since you can’t see the entire pitch. Sure, the radar might help a little, but the radar orientation may not always be the same as the direction you are facing. By the time we orientate ourself to the radar, the ball might be stolen. However, I still enjoy player camera. It is much more realistic, and alot of exciting! The action is much faster, you need to make decisions fast despite all the uncertainties, and you feel more like a real player. 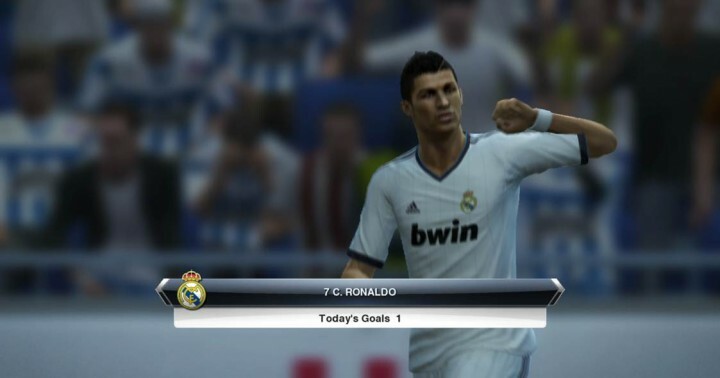 Scoring a goal from the Player Camera mode will give you great satisfaction! Familiarise yourself with the player camera mode. Get used to the orientation of the radar and try to mentally turn the radar 180 degrees if required to know the positions of your teammates and opponents. 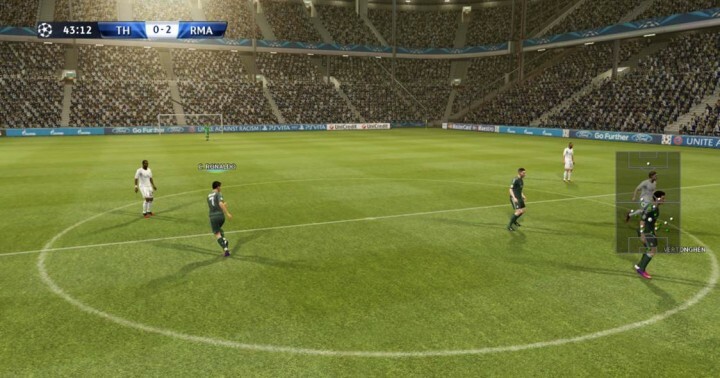 After playing a couple of games, you will roughly know where your teammates are, where they will run to, and will feel more confident of making a pass in their direction without looking. For example, when you receive the ball outside the box as a centre forward, you will usually be supported by two wingers, and you can quickly pass the ball to either flanks. 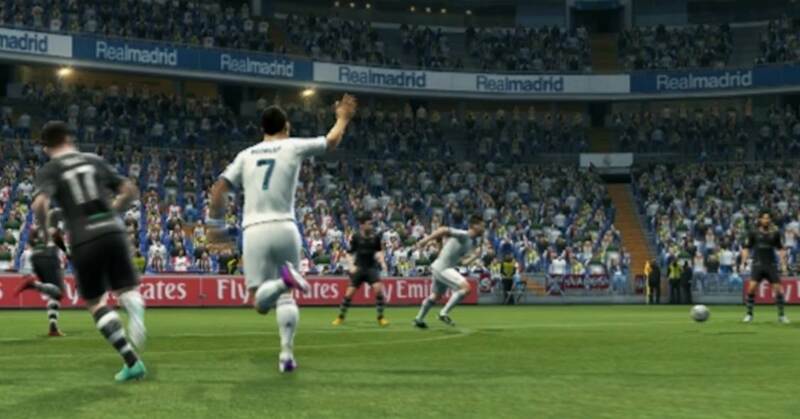 When you are not in possession of the ball, you can also hold L1/LB and hold your left analog stick in one direction. 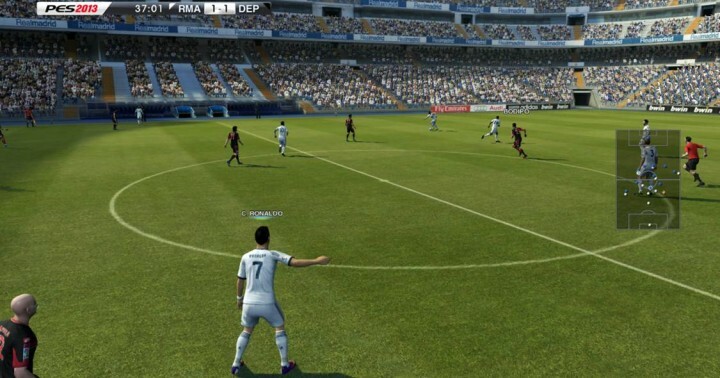 This will rotate the player camera and allow you to view the position of players around you, such that you can make use of this information when you receive the ball. Hold L1 and push analog stick to view surrounding players. Play at the highest difficulty. Anything below that will lead to lousy teammates and frustrations. Calling for the ball in open play. Press R2/RT twice to call for the ball. This will only work if you are in a good position, and it is logical for your teammate to make the pass to you. 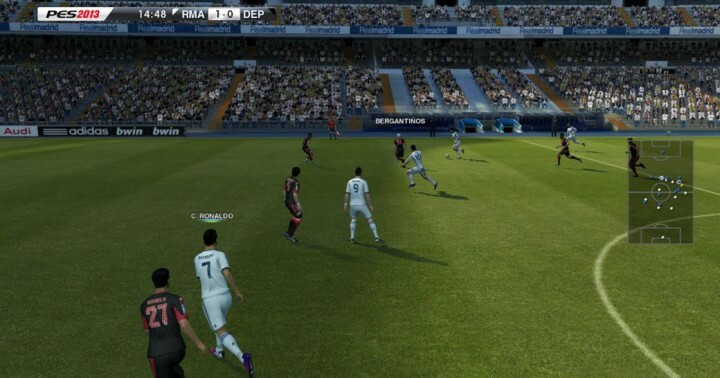 PES 2013 BAL is quite realistic. AI Players will not make silly passes. If the action is at the right corner flag and you call for the ball in a left back position, you will never ever get the ball. On the contrary, when you are in a good position, your teammates will make the pass without you calling for it. Being unmarked helps. Running into space also gives your teammate the opportunity to play a through ball to you too. Simply start your run forward, and not worry too much if your teammate pass to someone else. The AI is smart (if you are playing for a good team), they will work together, exchange passes, draw defenders away, before sending a nice through pass for you. This is a huge improvement from previous Become A Legend editions. Do note that you are unable to call for the ball when you are running. Release the left analog stick, press R2/RT twice, and make sure your player waves his hand frantically before using the left analog stick to make him run forward. Yes. AI Teammates are pretty good. You can trust them to make a defence splitting through pass for you to score. When you spot a teammate in a good position, you can pass the ball to him and feel confident that he will score from the chance. AI controlled teammates are also good with tracking the opponent and making tackles. Thus, there is no need to run around the pitch and try to be in the midst of all the action, though there is a strong temptation to do so. Stick to your given role, do it well, and you will usually be rewarded with a goal/assist and a victory. Also, when you have chosen to run in a direction, stick to it. Avoid changing direction suddenly, as your teammates are exchanging passes and trying to make a through pass to you. Sudden changes in direction will cause you to miss receiving the pass. Try to help out in attacking play. Run into space, ask for the ball, try to make a pass, or take a shot on goal. Even though I say the AI teammates are pretty good, you cannot depend on them to create the entire attacking play themselves and score goals, because they will lose the ball very often if you are not involved. If you are playing on the right and your left winger is trying to dribble past his marker, good luck to you and be prepared to drop back, because more often that not, he will try to do too much and lose the ball. To get around this, you have to constantly call for the ball and get involved in attacking play, which can be as simple as receiving the ball, making a pass, and running forward to offer more options. If you are an attacker, running up and down the pitch drains your stamina quickly and cause you to be substituted out of the match. There is no need to track back all the times, but when the ball is at your flank, hold R2 to face the ball carrier, and try to close down the line of passing. This restricts his options and force him to play long balls forward, which your defenders can win easily and regain possession. Hold R2 to face opponent and help out in defending. Other than scoring goals and providing assists, there are other (easier) ways to increase your match ratings. Having more touches of the ball helps. With the ball at your feet, you can do more things and contribute to the team. Send short accurate passes and make successful dribbles to increase your ratings. Tackling successfully and intercepting opponents’ passes will help to improve your ratings too. Hockey Great Wayne Gretzky once said, “Go to where the puck is going, not where it had been”. Our player only has that much stamina, and it must be put to good use. Anticipate where the ball will go and run towards the direction. For example, if a teammate is jumping to challenge for a goal keeper’s long punt, run towards him to receive his header pass. If the sideback is running forward with the ball, charge down the flank to receive his through ball. Make runs into space, provide support to the attack, and teammates will play perfect passes into your path for you to score. And that concludes this BAL tutorial. I hope you find this useful, and do check out other tutorials on PESMastery. I can’t really tell for sure. Probably a bug? Very sorry about that. With PES 2010, I have TWICE become an attacking midfielder legend who retired at the age of 35, completing over 700 club level matches with over 1200 goals. I have received many awards including “Ballon d’Or” after winning titles for my clubs. My created player represents myself, esp physically and nationality. I reached the highest rate : 102, higher than Messi and CR7. I did that in regular mode. 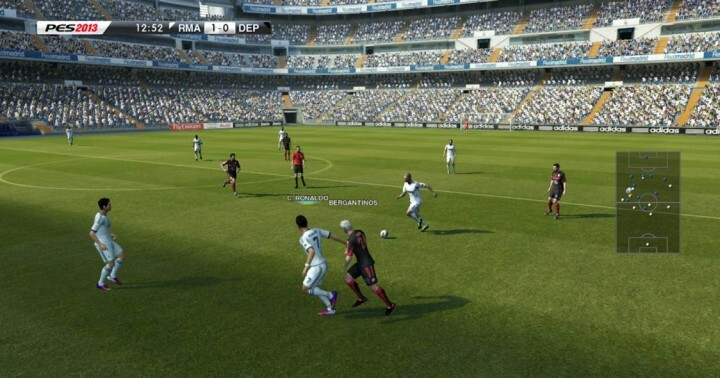 Now, I am playing with PES 2011, still in regular mode, it’s more difficult in that my speed is lower compared to the previous ones above. This time though, I choose Argentina as my nationality in order to get selected in National team. After about 2 and a half season playing for Getafe and Valencia, I was selected and since then I was progressing very well and able to keep the likes of Juan Roman Riquelme at the bench. Currently I am with Juventus at the age of 27 with a rate of 95 playing as an AMF/SS.